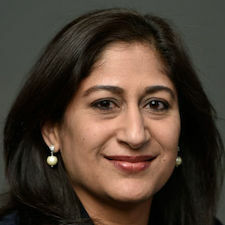 Anjali Halabe was promoted to associate vice president for finance at West Virginia University. She has been serving as assistant vice president for finance. Halabe first joined the staff at the university in 2000. In her new role, Halabe will also serve as chief financial officer for the WVU Research Corporation. Halabe is a graduate of the University of Bombay, where she majored in commerce. She holds an MBA from the University of Massachusetts and a master’s degree in professional accountancy from West Virginia University. Karyn Scissum Gunn was appointed associate vice president for academic operations at California State University, Fullerton. She has been serving as interim provost and vice president for academic affairs at Alabama State University. Dr. Gunn holds a master’s degree in cell biology from Tuskegee University in Alabama and a Ph.D. in molecular genetics from Auburn University in Alabama. Rene Schmauder was named director of assessment for the Office of Undergraduate Studies at Clemson University in South Carolina. She has been serving on the staff at Saint Michael’s College in Colchester, Vermont. Dr. Schmauder is a graduate of Mount Holyoke College in South Hadley, Massachusetts, where she majored in philosophy and English. She holds a master’s degree in linguistics and a Ph.D. in psychology from the University of Massachusetts. Katie Callow-Wright was named vice president and secretary of the university at the University of Chicago. She has been serving as vice president and chief of staff to the president at the university and will continue in that role. 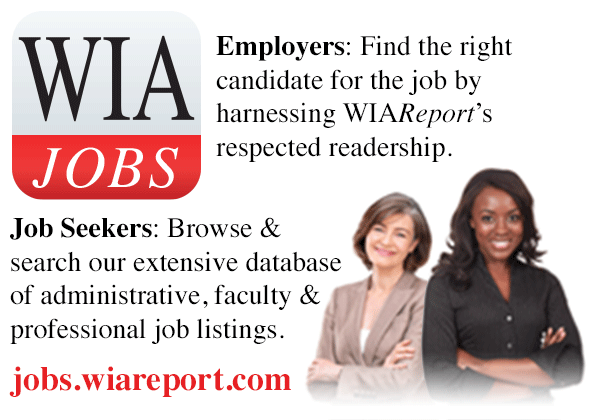 Callow-Wright is a graduate of DePauw University in Greencastle, Indiana, where she majored in economics. She holds a master’s degree in education from Bowling Green State University in Ohio. Melissa Farmer Richards was appointed vice president for communications and enrollment management at Sweet Briar College in Virginia. Since 2015, she has served as vice president for communication at St. Lawrence University in Canton, New York. Richards is a graduate of the University of Virginia and holds a master of public administration degree from Virginia Tech. 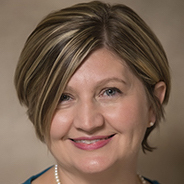 Christine Pfund was named director of the Center for the Improvement of Mentored Experiences in Research in the School of Education at the University of Wisconsin-Madison. Dr. Pfund holds a Ph.D. in cellular and molecular biology from the University of Wisconsin-Madison. Angela Karlin is the new assistant vice provost and director of the Office of Financial Aid and Scholarships at the University of Kansas. Since 2012, she has been the director of student financial assistance at the University of Central Missouri in Warrensburg. Karlin is a graduate of Truman State University in Kirksville, Missouri. She holds a master of public administration degree from the University of Kansas and is a doctoral candidate in education at the University of Missouri. Susy Serrano was promoted to director of the Office of Internal Audit for the Colorado State University System. She joined the university system’s staff in 2008 as an auditor. Serrano is a graduate of Colorado State University, where she majored in business administration with a concentration in accounting. Heather Melcher was appointed director of the Office of Institutional Analytics at the University of New Mexico. She has served in the post on an interim basis since November 2016. Earlier, she was the associate director. Dr. Melcher holds a bachelor’s degree in music and a Ph.D. in educational psychology from the University of Alabama. 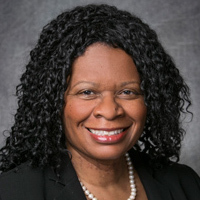 Brenda Faye Green was named associate vice president and library director at Meharry Medical College in Nashville, Tennessee. She was the director of education, research and clinical services for the Biomedical Libraries at Dartmouth College. Green is a graduate of Mississippi University for Women and holds a master of library science degree from the University of Southern Mississippi. Sarah Edison was named director of outreach and operations for the Brooks Center for the Performing Arts at Clemson University in South Carolina. She joined the staff at the center in 2013. Edison holds a bachelor’s degree in production studies in the performing arts and a master’s degree in parks, recreation, and tourism management from Clemson University. G. Christine Taylor was appointed vice president and associate provost for diversity, equity, and inclusion at the University of Alabama. 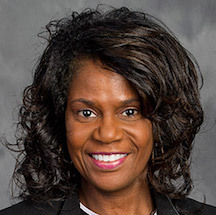 She has been serving as vice provost for diversity and inclusion and chief diversity officer at Purdue University in West Lafayette, Indiana. Dr. Taylor is a graduate of Middle Tennessee State University, where she majored in broadcast journalism. She holds master’s and doctoral degrees from Ohio University. Roberta Stempfley was named director of the CERT Coordination Center in the Software Engineering Institute at Carnegie Mellon University in Pittsburgh. She is the former deputy assistant secretary in the Office of Cyber Security and Communications for the U.S. Department of Homeland Security. Stempfley is a graduate of the University of Arizona, where she majored in engineering mathematics. She holds a master’s degree in computer science from James Madison University in Harrisonburg, Virginia. Kimberly Harrington is the new assistant director of public relations at Livingstone College in Salisbury, North Carolina. She has 23 years of experience in journalism, serving most recently as the editor of The Pageland Progressive Journal in Pageland, South Carolina. Harrington is a graduate of Winston-Salem State University in North Carolina. Khira Griscavage was named chief of staff for Carol T. Christ, the chancellor-designate of the University of California, Berkeley. Griscavage has been serving as associate chancellor and chief ethics, risk, and compliance officer for the university. Griscavage is a graduate of Harvard University, where she majored in mechanical engineering. She holds a master’s degree in education and an MBA from Stanford University.